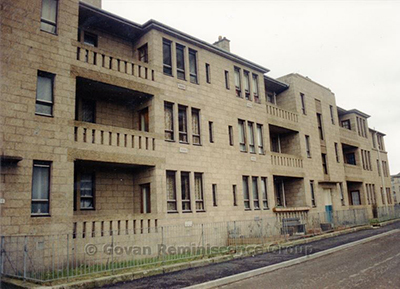 You can submit your own memories or stories of Govan below and they will be added to the page after approval by one of our members. You can also use the email address info@govanremgroup.org.uk to send us your story and/or a picture that will help illustrate it. If you do not wish your name to appear check the ’Post as Anonymous‘ box. Your memories may be used in future GRG publications. Writing on behalf of my auntie. I am looking for the name of a barbers shop that was on Langlands Road at Helen street end. Owned by Harry Knop in the 40s. The barbers shop was called "Knop & Joyce" and was at 26 Langlands Road, it opened in 1929 and Harry Knop lived in the next close at 34 Langlands Road. Henry (Harry) Knop was born in Govan in 1902, he married Susan Bowie in 1924, they had at least 5 children; Harriet, Frederick, Arthur, Helen and Henry, Harry Knop died in 1976. Anyone remember Quinn's pet shop in Harmony Row? I've looked at several sites like this, in search of a memory or a photo and never found a thing - yet it was a Govan institution. It was my first Saturday job and I worked there for about a year until the very day when it closed, which I think was in June 1972. I had to leave early as I was going to a residential orchestral camp but I was so heartbroken at the shop closing, I didn't want to miss a moment of that last day. The manager was a man called Jackie. He was lim, dark-haired and kind, probably in his 30s. I think he lived in Partick and had 2 little girls. The people of Govan didn't often use a vet, but came into the shop with their poorly pets and we all fussed over them, cuddled them, nursed them and Jackie recommended and administered patent pet medicines like Bob Martins. I remember a little dog who was hit by a car and people brought him straight in to us. He had a broken leg, but we cuddled and comforted him until someone with a car was found, hours later, to get him to the vets. The owner later came in with home-made tablet for all of us. We sold puppies, kittens, mice, fish... and I promise you, they were cleaned and cared for with the tenderest of love and care, and caution was exerted when people tried to buy them. Mind you, the mice... we lifted them out of a glass tank by the tail then put them in thick brown bags of thinnish white boxes for their journey home and I'm convinced most would have chewed through and escaped within minutes of leaving the shop. We used to prick our fingers to drop blood into the fish tank where the (goldfish-sized) piranhas were and watch them converge on the blood. We engraved pet medallions and Jackie let me do it because I had nice handwriting. I attended Notre Dame School and Jackie told customers this to reassure them of the standard of my handwriting! For about a decade that shop stood empty and it broke my heart. People were in tears when that shop closed and I'm really delighted that I played a small walk-on part in a Govan institution! Anyone know the Maguire family from Logie Street and 147 Langlands Road? Jack, Margaret, Frank, Gerry, May, Charlie and Kathleen, Annie Maguire's 7 children. My cousin Pat and I were just reminiscing about memories of the Steamie - which I think I was dragged along to, to help Mrs. Mary Devlin, in about 1965? Her daughter had a hairdressers just up from St Constantine's, I think, and my Gran got me to go along and help her wash the towels on Saturday night. Gran was Annie Murphy but her dad died when she was 4 and her mother remarried John Johnston and went on to have a huge number of children - and as we research the family, we keep finding more. Claire Fitzpatrick - I wonder if your Mary is one of our family? I was born Jan 6th 1951 and brought up in flat above Co-op in Helen Street at Govan Cross, I Went to Harmony Row and Hills Trust Primary schools before moving to Pollok when I was 10 .I have 4 brothers Dave, Bobby, Shuggie, all born in Govan ..and Alastair born in Pollok. I remember Betty McPhee, Margaret Liversidge, the Gourlay brothers and Brian Wilson.We lived in the top floor for a few years and the moved to bigger flat on first floor with a bathroom. I remember the following; sitting on the kerb at the mouth of the close playing with the soft tar on the road in the summer with a stick and my mum using melted butter to get the stains of our clothes, playing peever with a shoe polish tin, making up little shows which we all performed in the high backs ,climbing over the pailings, and often getting our knees impaled on the sharp spikes at the top, playing balls against the wall singles and doubles too, climbing onto the steamie roof and jumping onto the pub roof dodging the barbed wire spikes, playing ropes singles and doublers, and swinging on the telephone wires above the low back steamie roof, Summertown Road steamie and baths. 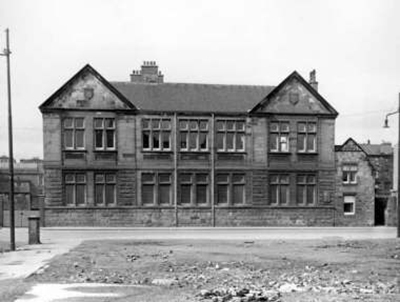 I was born in Govan in 1950 at 10 Pearce Street across from the P.I., there was only one close in Pearce Street. I was in the 102 Life Boys then the Boys Brigade with my big brother Tommy. We were also in the Choir at Govan Parish church and in the B.B. Pipe Band. I went to Harmony Row school then Hills Trust school, then to Govan High school. I used to go to Jack's Bakers on a Saturday morning for a dozen rolls and half a dozen teabread and I still got change from a half a crown (12.5 pence), happy days! Somewhere along the Govan Road, there was a sweet shop with a train set that would go around all the big jars of sweets. I was born in Broomloan Road by the pot heid (TSB) bank which is still there. 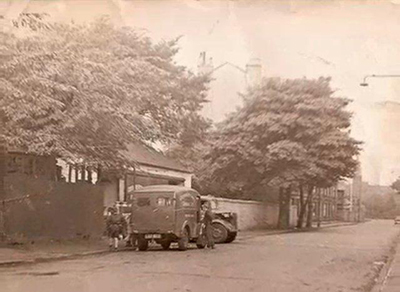 We moved to Cardonald when I was very small but used to go back to Govan all the time and stay with my grannie at 711 Govan Road, above McLarens Newsagents. Every Christmas I was given a big pile of unsold comics and one day the woman gave me a bob - 12 big penny coins that filled my hand. For Margaret Gibson - I saw that you lived in Kintra Street until 1960 and wondered if you knew my grandmother Mary McGill/Johnston who lived at 110 Kintra Street in 1956. She had 3 boys Alex, Willie and Robert. Robert sadly passed away when he was 2 and then my dad James was born in 1960. She got married in 1956 to my grandfather Robert. I am researching my family tree and as both my grandparents died in 1990 and 1993 respectively I can't ask them. I found this site by mistake while i was trying to find people that i used to hang around with in Govan, I lived in Rathlin Street, opposite the Elder picture house, my mum and dad were Mary and Eddie Mellon and brothers Paul and Ward. Does anybody recognise the name? I have lived in Australia since 1969. I try and tell my grandkids what a fanfastic place it was to grow up, no money but lots of pals and never bored. Everyone used our street for roller skating, we called it thd smoothie! I went to St.Anthonys then St.Gerards, great days, I went back in the 70s and hardly recognized anything, even the people were different, if anybody has any info. Would love to hear from you. I was brought up on Broomloan Road, Ibrox across from Ibrox high flats.the Ibrox house pub was just up road from me as well. Just looking for anybody who new the Paterson, dad george known as Geordie and mum Betty, sisters Elaine, Brenda and brother George. I attended at Hills Trust from the age of 5 until 6 whereby the family moved to Essex (South of the Border) I do not remember a lot except that I was rushed to hospital with a appendicitis and I received many written get well cards from the whole class with a special ones from Ann Bann and Miss Green my teacher... HAPPY TIMES. When we moved to Nitshill in 1060, I realised how much I had loved Govan. I went to Hills Trust primary and can remember having to sit my 11 plus exam and passed by the skin of my teeth (lots of mental arithmetic). We didn't have an inside toilet but had to use one on the landing which served two other families. Sometimes it was hillarious, waiting in the queue to get onto that seat, and having to use The News of The World as toilet paper....wow! What a memory. I too, have fond memories of playing and performing small shows, and we all thought we could act. I remember one time, my big brother hiding in the midden under all the ashes, when I went down three stories to empty the fire ashes. He and his pals jumped out and I ran back up three stories screaming. Lots of other good memories but also remember the terrible fires which took place. I think the whisky bond was one of them. Went back recently, but things are not the same. My earliest memory is when I was about 4 playing outside our close 39 Nethan St, my mum had got me all dressed up as the photographer was coming to take our photo , me and my 2 sisters sitting on the sideboard I wandered out the house with my new truck with wee soldiers in the back and was playing in a puddle when the photographer arrived and had to get all cleaned up again before the photo was taken, I have FTD (dementia) this affects my short term memory but fortunately not my long term memories, I have cousins who still stay around the wine alley. My father, Alex Grant and brother Davie lived one up at 129 Elderpark Street. 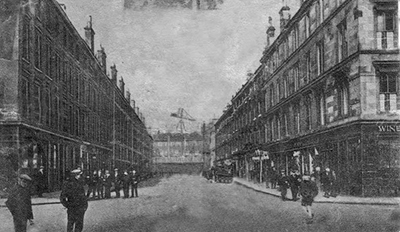 My mother, Elsie Walker lived with siblings; Edward, Betty, Beatrice and Edith in Belch Street, it was a small street with only one close and not one single Govan person I have ever met can remember it! Both my parents went to Greenfield School then Govan High. My father "served his time" in the Thermotank then for many years was a policeman in Plantation Street. When they married on the 29/4/1939 they moved to Hillington. I remember on Sunday mornings being taken with my sister, Elizabeth, on a No. 25 bus to the Gladstone Gospel Hall at the corner of Golspie St and Logie St. Very fond memories. I was a deckhand on the TSS Shleldhall sewage ship that sailed down the Clyde every day Monday to Friday to the tail of the bank, there we discharged the load then made a circle before heading back up home. Strange thing is that we carried passengers on some days, these passengers had a dinner on board while we discharged the cargo with most never knowing what was happening. Great memories. Yup I'll always be from Govan even though we lived a bus ride with the messages away from it in Shieldhall, that was situated near to the 50 pitches, I remember well my Dad and me watching the shipyards football competitions. Drumoyne primary it was, a year after my big brother Robert started (about 53) then on to Govan High School, that was the one which caught fire when I was due to sit my O levels (no excuses). Don't think I enjoyed my time at Govan High, who did but I remember the english teacher Johnny Duncan, Jock Reiburn (maths), who was strict but gave me a good basic knowledge of algebra which stood me in good stead for my future in engineering. Daddy Boyd who used to wear his academic gowns on official occasions which I to this day found hard to understand as none of the other teachers ever wore them. I liked Daddy Boyd although I never had him as a teacher, he was in charge of the rowing club of which I enjoyed many an hour on the Clyde. I guess I drifted away from Govan for some time although I watched it contract as the shipyard industry faded and that was until my interest was aroused as the company I was working for took up new premisis near the Southern General as it was then. 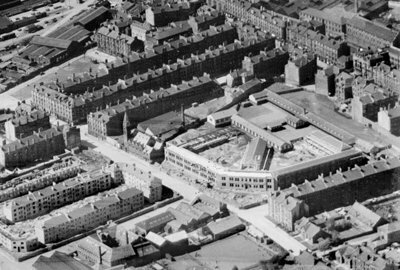 I learned then that Govan as I knew it had obviously changed (the three picture houses were gone) but was still a thriving community. Anyway gabgabgab, lots more if anyone is interested. My first run in with the sectarian divide in Kinning Park. My grandparents on my mother's side were McElhinneys and attended Plantation Church while my dad's side and myself attending our Lady and St Margaret's Chapel. When all my pals joined the Lifeboys I went along too for 2 weeks, I think the hall was on Portman or Middlesex Street. Any way they started to ask us our schools and of course my mates answered Broomloan Rd, Bellahouston and Lorne St, but when it came my turn my truthful answer was Our Lady and St Margaret's Primary just up the road from here. I was shown the door and advised to join the cubs, which I did, but I would have enjoyed being the 1st Lifebhoy. 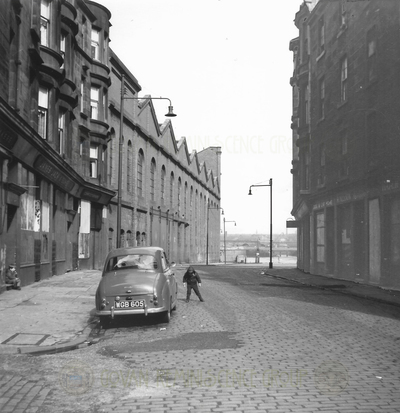 I was born in Govan in 1942 and lived in Elder Stree before moving to 15 Water Row above the bakers James Jack & Sons, my father worked there for 56 years. I went to Govan High school and Fairfield Primary school, I worked at MacDonalds biscuit factory then went to Toronto with my husband Dan Slavin, I miss my wee town, it will not be same anymore. I stayed in Govan in the early 60's first in a tenement at 118 Govan Road, we stayed in the top storey mum, dad, me, my sister, and baby brother. I can remember having to use the toilet on the landing using a massive key to open the door. We then moved to a cottage at 112 Golspie Street down the lane, I always remember walking home down the lane, at the bottom of the lane we had a very large wooden gate, which we had to open to get in. It was fantastic staying there, 3 family's stayed in each cottage. George and Mary Breslin's, 2 boys (Raymond and Michael), William & Margaret Gallagher's boy and girl (Charles and Maureen) and John & Annie Mc Culloch's 2 girls and 1 boy ( Elizabeth, Mary and John) which was us. It was fantastic we even had a large grass area to play such a great childhood. 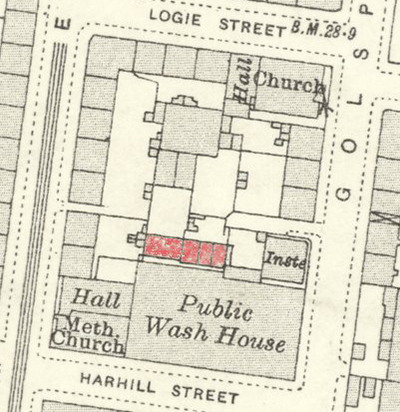 NLS 1932 Map showing cottages at 112-114 Golspie Street, Govan. Acumfaegovan born and brought up on Langlands Road with my sisters Susan and Elaine Wilson by my wonderful parents Vera and Bill Wilson. We loved it there and had best times growing up in Govan, a great wee community and a great bunch of people, neighbours were great and we had lots of great friends to play with. 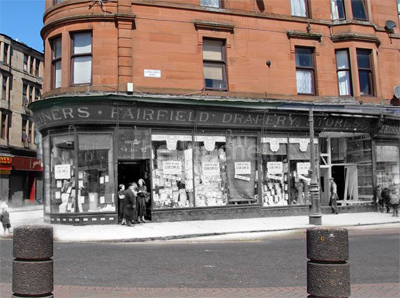 It was absolutely awesome growing up in Govan, lots of shops, such as; Galbraiths, Dands Bobby's, David's butchers, BrotherSoft paper shop, modern book shop, and Woolworths, we had a great wee doctors surgery on Langlands Road, Peacocks bakery, Nicholls store and Amey's cafe. I remember your family at 100 Harmony Row, my cousin Maisie McAlinden was friendly with the family also my Granny, or as she was better known, MAW Austin, hence I was bettter known a Joe Austin. We always used to stop at your house on the way home from St. Anthony`s school, for a blether. I still have a picture in my mind of your father Guido, a very handsome man. When I got married I moved to Arden, I now live in Clarkston in the South of Glasgow. I lived at 2 Robert street, Govan, we moved there from Tower Street, Kinning Park, I went to Harmony Row school (1959/60) then moved up to Hills Trust primary and after that went to Broomloan Road secondary school, that was shut down and we were moved to Govan High comprehensive around 1967/1968. 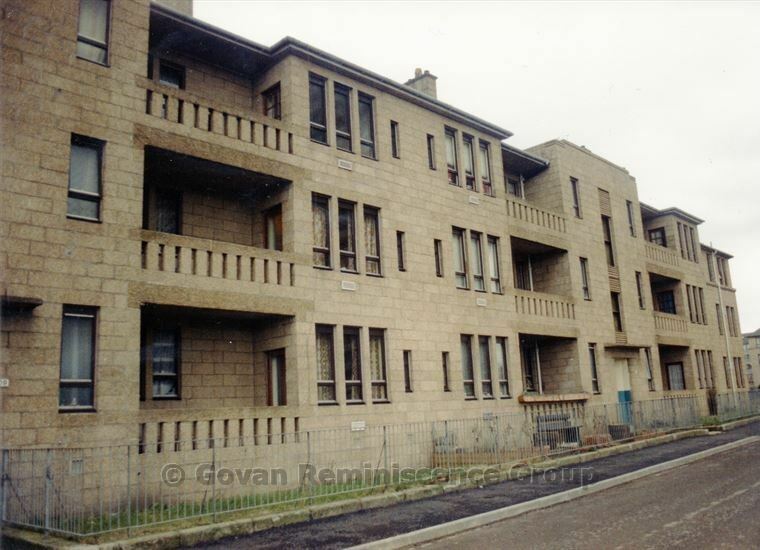 Govan was a great place to grow up in! 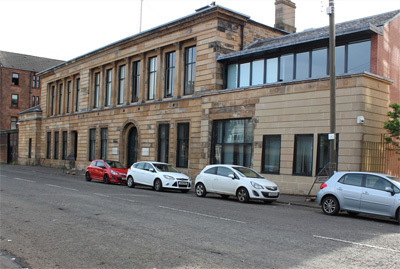 My family lived at 100 Harmony Row, Govan until I was 10 (born 1953), I lived there with my father Guido Gonnella, my mom Susan, brother William and sisters Helen Marie and Susan also lived with us. Around 1963 we moved to Arden where I went St Louise Primary School. I married in Glasgow, Scotland in 1974 and emigrated to Canada that same year, I have lived in Canada ever since. Does anyone remember our family? Does anyone remember Cuthbertson's dairies milk depot Vicarfield street Govan. I worked there for a time early 60s I left in 1962. Memories of our workers are Nancy, Margret-Anne and various others, oh and not forgetting Speedy. Good times we had, wonder where they all are now and if they remember me. 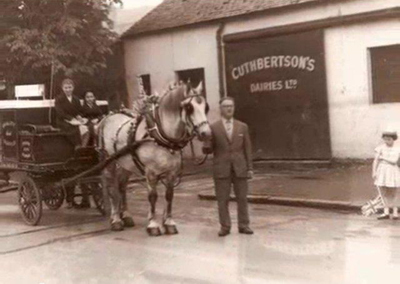 Cuthbertson's Dairy on Vicarfield Street. I was born in Broomloan Road Ibrox in Govan in 1958. My da was George Paterson, mum was Betty Paterson my child hood there was brill everyone was so friendly and you could trust everybody. My sisters were Elaine & Brenda and my brother was George. I would like to hear from anybody who knew any of us up until 1981 when my mum and dad left Ibrox to move to Craigton. I was born in Govan, at home, on Luath Street in 1935. My maternal grandfather was a master brass moulder in the shipyards. He lived on Govan Road. 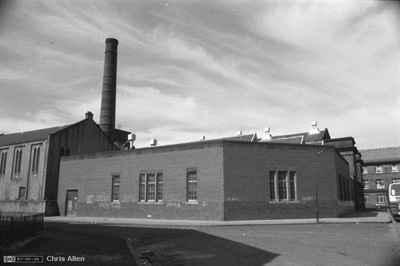 My paternal grandfather was an engine keeper for the Phoenix Copper Works, and lived on Brighton Street. My father was a chemist who worked for the SCWS. We left Govan when I was two, then lived for five years in Markinch before moving on to Kelty, Cowdenbeath, Armadale, and Rushden down in England. From Rushden we came back to Larbert, then to Lauder. I was attending what was then known as Duns Academy when my father decided to emigrate to Canada. We went back to Govan until we could get passage, and I attended Bellahouston Academy. In Canada, I joined the Royal Canadian Air Force, and served 37 years before retiring. I've been back to visit my relatives several times, but the old places are gone. I used to walk up Neptune Street between the two grandparents homes, but even that seems to have been cut off. It was a real shame to junk those old tenements instead of refurbishing them. I was born 1944, lived 3 up in 52 Wanlock Street, right across from the little swing park and Fairfields Shipbuilders and right next to the Govan Ferry. I loved it there we could watch the ships being built and then launched from the bedroom window. We had 4 Cinemas that we could go to and the swimming baths and all the dykes round the back to jump and all the different games we played outdoors until the street lights went on and Dad shouted out the window it was time to come up the stairs. A big gang of kids would all go to the pictures on Saturday afternoon and one kid would pay to get in and then would go round to the fire escape door and open it and let the rest of the kids in for free. I went to Hillstrust School until I was 10 then we moved to Nitshill which I was not so fond of, Govan was a great place to live we were always putting on concerts round the backs and folk would hang out the windows to watch the performance there was always stuff going on or buss-runs that our streets would organise and the Govan Fair, Govanites were great. My sister and I were born the year before the second world war at Montrose nursing home in Govan. We lived in Linthouse at that time, and then we moved to Shaw Street in Govan. It was very hard during the war for our mother as our brother was three years older and our father was a shipyard worker, working nightshift. When the sirens went for everyone to go to their shelters, our grandfather had to come and help her take us to St. Anthony's school (our shelter). Also remember when we started school in 1943, we had to carry our gas masks with us. We all went to Harmony Row school because that was where our mother went and she wanted us to have the same teachers she had, and there were a few left from when she attended there. Our father would be home right before we had to leave for school, so he would take us as it was not safe to cross Langlands Rd., Unfortunately, the week before Christmas in 1943, our grandfather was killed by a bus right at the Vogue cinema. We loved the years living there and in 1949, our little sister was born at 22 Shaw St., That same year we moved to Penilee, but when my sister and I were seventeen, our parents moved back to Govan because the house in Penilee was very damp, so our parents got an exchange to a house on Govan Rd., the cooperative building next to Fairfield's shipyard. It was a two bedroom, living room with a kitchenette and full bathroom. We all loved living there as Govan was such a great place and had everything you needed, especially four cinemas. We used to listen to all the records being played from Munleys on a Saturday morning. My sister and I were married in 1961 at Govan Parish where we were members. Our parents and our brother were also married there, and we were all Christened there as well. Our young sister was married in St. Anthony's years later. We had and still have such a loving family even although our parents and grandparents have passed, but Govan made us that way because it was a great community and you knew who your neighbours were. Members of our family have now moved away to other locations in Glasgow and Paisley, but we still remember our childhoods growing up in Govan. My husband also comes from Govan. I met him at our place of employment. We lived in Southcroft St., when we got married. Our first daughter was born in 1962, and then when she was six months old, we went to Toronto, Canada. I remember two days before we left in 1963, I took her to the Govan Fair, and that was the last one I ever saw. I remember the days my sister and I would take part in the fair while we were in a dancing school, which was named Thompsons. I was pretty sad when I left Govan and leaving my family was devastating to me. My husband and I ended up going into the USA. Lived in Georgia where our second daughter was born, and then onto Texas, and now living in California. We love it here, but still go back to Scotland every other year. Our children and grandchildren have been back many times as well. We visited Govan in recent years and is not the same place anymore. It brought tears to our eyes as they have destroyed a lot of the buildings that should have been refurbished. Elder park is a mess and all the railings have been taken out. We went this year to the Fairfield shipyard museum which was very interesting. 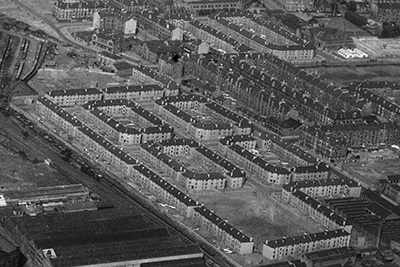 Looking at Govan when it was a village, and film of how it grew into a town, we felt very proud of being born and raised in dear auld Govan. I remember a chemist called Brays on Govan Rd. It was massive and as a wee girl it was magical, as well as Dands I also remember Bobbys on Langlands Rd, I got my Bay City Rollers trousers there, lol, there was loads of shoe shops in Govan, one was called Cherries I'm sure, also a massive one can't remember name, just round from Burleigh St, a few years back it was Bradley's chemist. I stayed all over Govan, I was born in the Southern General in 1961 and was brought home to Neptune St then I stayed in Govan Rd, Broomloan Rd and Carmichael St. I went to Broomloan Rd nursery then the school. My granny Flora McFadyen was one of the oldest and longest residents in the Wine Alley. My dad was Boaby Rodgers he got knocked down and killed when I was 3 in 1964 and my mum was left a widow with 4 wee girls. I spent a lot of time at my granny's while growing up I remember we used to get payed for watching the cars when there was a game on at Ibrox. My mum's brother Spinx (George Hewitt) stayed in Teucharhill and my dad's brother Alex Rodgers drove a milk float. Love all my memories of Govan as a wean! My gran lived upstairs at 12 Water row. Every month her and neighbours would make tablet, cakes, scones and stuff. We would have concerts and the money raised would organise a trip to the seaside for the kids of the area. This was around 1954ish. I would like to know if anyone remembers these times. I have many happy memories of Govan. 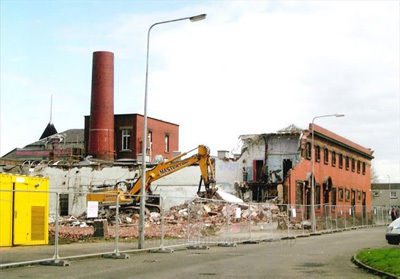 I was born and raised at 976 Govan road and remember concerts we used to have round the back for the neighbours and we would make costumes out of crepe paper and sing songs like" oh you beautiful doll you great big beautiful doll". Very happy days. I went to St Anthony's then St Gerard's and was there at the same time as Billy Connolly though he is a year older than me. Govan was thriving in those days. A great place to live. My parents lived at 49 Nethan Street and I was born at the Southern General in 1939. My father was called up at the beginning of the War and my mother died when he was in Europe, I went to live with my grandparents on Wee Logie Street, I was 2½years old and spent the rest of my childhood there until 1956 when I came to Canada with my grandmother to live with my uncle (my mum's young brother). Helen Dunlop, Jean Donaldson, Billie Cameron and me Margaret Kane on Govan Road at bottom of Neptune Street, c1949-50. Helen Dunlop and I have kept in touch all these years, she is only one month younger than me and lived across the street, therefore we have known each other all of our lives. As for Billie Cameron, she now lives in Montreal, her sister Isa was a war bride and came to Canada in 1948 to be with her Canadian husband and lives north of Toronto in Collingwood. (they lived up the pen at No. 14). As for our childhood and growing up in Govan we would never change a thing, there was everything in Govan any child wanted and we never ever suffered from boredom after school, we were outside playing peever, rounders, climbing dykes, swimming at the pool and rolling our Easter eggs down the hill at Bellahouston Park. Sometimes on a Sunday we would go over to Kelvingrove and (if memory serves me) run around the suits of armour until we were thrown out of the Art Galleries. Other Sundays maybe Helen and I would visit the graves of our mothers at Cardonald Cemetery (her mother died when she was 5). Wee Logie Street* girls on bus run to Ayr organised by Elderpark Church, c1950. 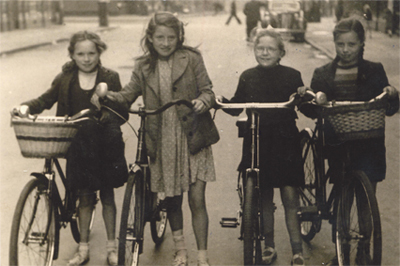 (Top) Annie McGowan, Betty Wallace, Margaret O'Neil & Sylvie Parker. 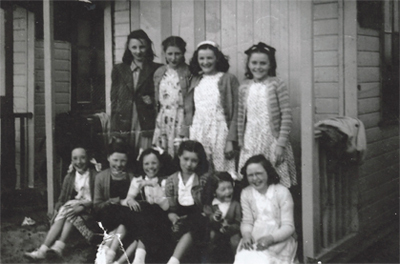 (Bottom) Janet Gilmartin, Susan Burns, Helen Dunlop, Margaret Kane, Heather McGovern & Billie Cameron. (*Annie was from Nethan Street). Saturday afternoons were for the matinees at one of the four movie halls; Lyceum, Plaza, Elder and Vogue. I remember Vogue would show two part Westerns that made us come back the following Saturday to find out who won the fight, there was also an entertainer named "uncle Harry" who would go up on the stage when the movie was over and ask us to wave our white hankies that we were asked to bring, we would all stand up and sing "Pack up your troubles in your old kit bag" before we left. Not a penny in our pockets other than the price of admission to the pictures on a Saturday afternoon and some extra for some sweeties, I remember my grandmother used to give Helen my sweetie coupons from the back of the Ration Book, as she had such a sweet tooth that she would have ate her way through February and March coupons even though it was only January and stores knew we were still going to be rationed for some time to come (I didn't have a sweet tooth so always had coupons to spare). We would also put on a concert in one of the vacant stores that Helen's brother and his wife had access to, the women would make hot peas and vinegar and listen to us all singing and dancing out of sync, but what memories, what sheer fun, I wouldn't trade it for the world today. 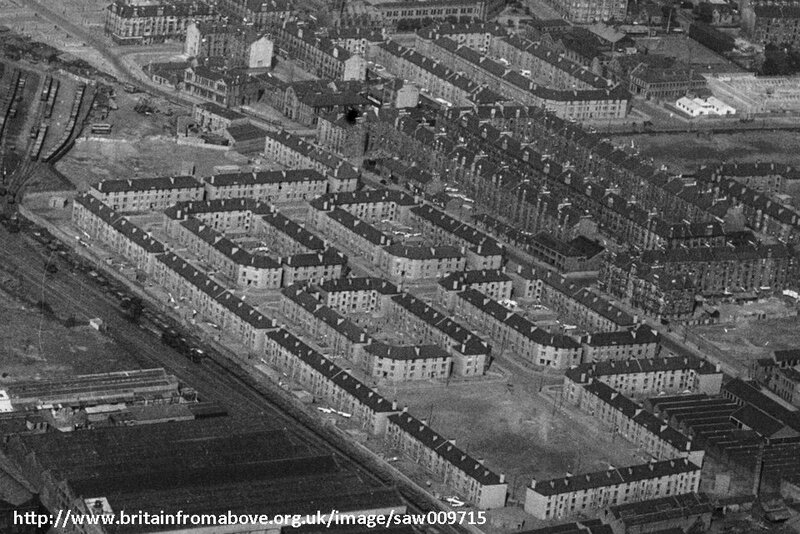 I lived in Kintra Street from 1946 until 1960 and went to Broomloan Road school then Govan High. I remember the baths and went there every Friday, I also remember playing in the street and when the coalman came my mum and I would follow him with a pram and pick up any coal that fell of the lorry. There was a milk depot (Cuthbertson's Dairy) at the bottom of the street where we used to go and if we were lucky they would let us feed the horses, those were the days, how I loved going to the Plaza every Saturday morning to the ABC minors and when it was our birthday we got to go up on the stage and everyone sang to us. I also went to the Glasgow City Mission which was in Kintra Street, how I loved my childhood. My mother was born at 68 Harmony Row in 1924, when she was about 10 she was sent to Dand's Drapers on Langlands Road to buy thread for a neighbour and got her finger caught in the door which resulted in losing the tip of it which gave her years of pain, on a lighter note on the subway to hospital she had to pace up and down with pain which resulted in her leaving the subway with her pockets jingling. Little did we no that years later I would be living above that very shop. When I was a wee lassie of four living on Neptune Street in the early 50's I walked away down the street from our close and got lost. Someone took me to the Orkney Street Police Station. Eventually, my dad arrived asking if anyone had handed in a wee lassie. Naw, he was told, but we have a wee boy in the back. My dad was taken in to see the wee boy, turns out it was me. There I was, short hair, snotty-nosed from crying and eating an ice cream cone. I have no memory just my dad's story. I lived in Elderpark Street and the Wine Alley. Years ago Govan was a brilliant shopping place. I used to go there with my Mum to Woolworths, they had shoe shops and everything you wanted. Then the place just went to pot. In the Wine Alley, I loved the people more than anything. Best people you could meet. When in trouble the Govanites all come together. Nobody like them in the World. I lived at 73 Nethan Street, Govan. I loved going to the Steamie with my Mum and her friends. One day in the Summer, off we went to the Steamie, everybody went in, my Cousin and I stayed outside. We had some chalk on us and we wrote on the outside of the lovely red tiles on the wall. I can't remember what we wrote, but we were very busy. Next thing I know, this policeman appeared, he looked like a giant and he asked me what was I doing. I didn't open my mouth, I was sure I was going to jail. My cousin disappeared, the policeman went into the steamie and came out with a bucket of soapy water and a cloth to wipe it off. I cleaned it up and he must have been watching, as he came back out to see if I had done well. I asked him if I was going to jail, he said not at all and he gave me a sweetie. He said be a good girl, I don't want to see you when you're 17 causing problems. One summer, I walked to the steamie and managed to get some photos of it. Went back to show someone the building, but it was gone. I always thought it was a listed building. It was a beautiful building and I would have thought that the powers that be could have used it for something. I'll do a bit of investigating. Playing out in the street with our whip and peeries my sisters and friends would have contests to see who could chalk their peerie with the best colour design. Then there was the shake the blanket with my older sisters and friends my turn wasn't coming fast enough so as usual I was whining so they gave me my turn and shake the blanket shake the blanket 1-2-3 they lifted me in the air and let the blanket go results bleeding nose and they all got a right telling off. I'm thinking I never whined at them again. I loved Govan how all the woman watched as we played there was always an adult around and if they were not outside you knew exactly where to find them sitting in a house having a cup of tea great great days I wish we had lived in Govan longer than my 5 years but we always had many visits back to see relies and old neighbours. Great memories of Summertown Road baths. Used to spend all summer there paying in twice, having to queue up for second swim with towel around yourself sometimes freezing and having to wait in line. Also used to go for a bath there even though we had a bath at home. Water was always roasting hot and bath was very deep used to spend hours in it; and who can forget the carbolic soap!!! Does anyone remember going out the back courts and jumping over them? My cousins and I thought we should try this. I was the smallest and skinniest one there, there were about 10 of us up on the dyke, they're all shouting at me, so I shouts I'm just gettting ready. Next thing, I found myself lying on the ground. I was so focussed what was in front of me, I never looked behind me and I disappeared over the edge. My Mother took me to the Southern and a giant black man came in. I had never seen one before. I screamed blue murder, he wanted to pull my pants down, but no way I letting him do that to me. Poor Man, he said to my Mother, "the way she's trying to kick me I think her hips are fine". I remember my mum and dad and telling me how Govan was full of works, tenements, shops and pubs and how it was a vibrant place, this was very different from 1970s Govan that I grew up in, instead it was like a town after the blitz, I remember large areas of spare ground where the tenements and shops once stood, I remember playing in the old derelict tenements and works and in the rubble of demolished tenements, in the old tenements in Orkney Street we pretended to pour pints in the old Albert Bar. It was like growing up in a wasteland! The Govan of my parents had gone, the works and the jobs and the people they spoke about had all gone. It has taken Govan many years to heal and the spare grounds and scars are all nearly gone. Govan feels vibrant again.